The inaugural EMiT event, held at The University of Manchester on Friday the 11th of April 2014, included a distinguished list of invited speakers. Talks can be downloaded via links below. Session 1: 2 (11:30-13:00) Prof. David Emerson Computational Engineering Group Emerging technology within the STFC. Ben specialises in simulating violent free-surface flows using the meshless method, Smoothed Particle Hydrodynamics (SPH), a computationally expensive method. In the past six years, he has developed research activity into various computing paradigms, including massive parallel processing using thousands of cores for SPH incompressible flows and using graphics processing units (GPUs) for SPH simulations. He is part of the team that simulated 1 billion SPH particles with a heterogeneous 64-card multi-GPU implementation. He was an RCUK Research Fellow at the University of Manchester from 2007 to 2012 and is now a Senior Lecturer. 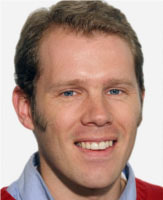 He is a core developer of the open-source SPHysics and DualSPHysics codes (http://www.sphysics.org http://www.dual.sphysics.org) and is the leader of the SPH Specialist Group in Manchester. Dr John Ashley is NVIDIA’s Senior Solutions Architect covering global financial services and radio astronomy customers. 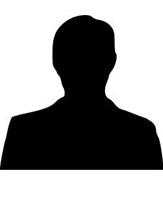 His background is best described as varied, with degrees in Electrical Engineering, a Doctorate in Computational Sciences and Informatics, a US Patent in predictive analytics, and an IT career as a developer, DBA, systems architect, and project manager working for a variety of end user, vendor and consulting firms in the utility, government and financial sectors. He is currently based in London. 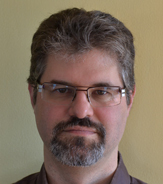 Stephen is a Technical Consulting Engineer at Intel, and has worked in the Intel Compiler Lab for the last 14 years. He is a regular speaker at technical conferences in Europe and the US. Prior to joining Intel, Stephen worked as a lecturer at Birmingham City University, specializing in Software Engineering and Embedded Systems. As an academic he developed and delivered CPU architecture programming courses for a number of silicon and software manufacturers. Stephen is author of the book “Parallel Programming with Intel Parallel Studio XE” (ISBN 9780470891650, Wiley, April 2012). Outside work, Stephen enjoys playing the pipe organ, and is an accomplished musical instrument restorer. 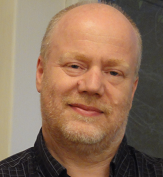 Dr Wim Vanderbauwhede is Lecturer in Embedded, Networked and Distributed Systems at the School of computing science of the University of Glasgow. His research focuses on high-level programming, compilation and architectures for heterogeneous many-core systems and FPGAs, with a special interest in power-efficient computing. He is author of the book “High-Performance Computing Using FPGAs”. He received a PhD in Electrotechnical Engineering, with Specialisation in Physics, from the University of Gent, Belgium in 1996. Before returning to academic research, Dr Vanderbauwhede worked as an ASIC Design Engineer and Senior Technology R&D Engineer for Alcatel Microelectronics. Prof. Lamb is Chief Scientist at JBA Group and director of the JBA Trust, a not-for-profit foundation working to support the research, education and training in the water sector. He is also a visiting lecturer at Imperial College, Leeds and Lancaster Universities. Co-author of the two text books “Practical Channel Hydraulics” and “Hydrology in Practice”. In June 2012 he was a finalist in the Royal Academy of Engineering’s MacRobert Award for innovation for work on development of rapid flood risk analysis models using GPU computing technology. He is an honorary Professor at the Lancaster University Environment Centre.